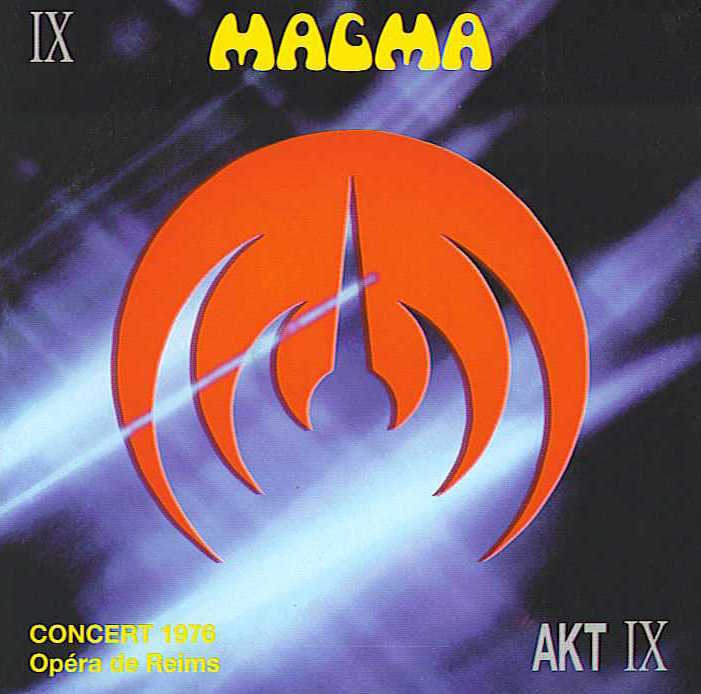 After the official live concert of the Taverne de l’Olympia and the concert of the Théatre du Taur of Toulouse, here is, with this triple album recorded in the opera of Reims on March 2nd, 1976, a new opportunity to listen with delight to what probably was Magma’s most prestigious formation. Above all, this concert, which features, like the two that came before, a band of unequalled unity and power, makes up a document of prime importance as far as its content is concerned. Three major pieces show it. SONS ET CHORUS DE BATTERIE (Drums sounds and chorus) first, the only drum chorus by Christian Vander in Magma ever recorded on CD; THEUSZ HAMTAAHK then, in a version of the time which announces the one that would be released in 1980 on the album RETROSPEKTIV 1&2, and finally DE FUTURA, a piece which was still being worked on at the time, with Paganotti on bass, only a few months before it was recorded by its talented creator Jannick Top.